Rolex is one watchmaker that needs no introduction. 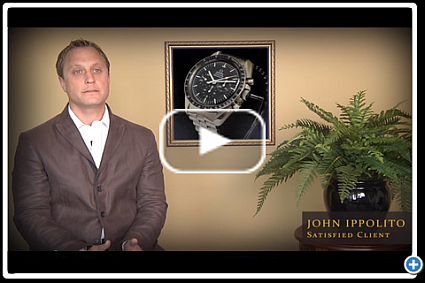 The Swiss watch manufacturer is the largest single luxury watch brand in the world, producing about 2,000 watches per day. The company’s estimated revenues are around 3 billion US dollars. Founded in the early 1900s by Hans Wilsdorf and his brother-in-law Alfred Davis, Rolex has always been a leader. Among the company’s innovations are the first waterproof watch case; the first wristwatch with a date on the dial; the first watch to show two time zones at once; and the first watchmakers to earn chronometer certification for a wristwatch. Rolex still holds the record for the most certified chronometer movements in the category of wristwatches. Rolex participated in the development of the original quartz watch movements, and in 1968, collaborated with a consortium of 16 Swiss watch manufacturers to develop the Beta 21 quartz movement used in their Rolex Quartz Date 5100. The first self-winding Rolex watch debuted in 1931. This not only made watch-winding unnecessary, but eliminated the problem of over-winding a watch and harming its mechanism. 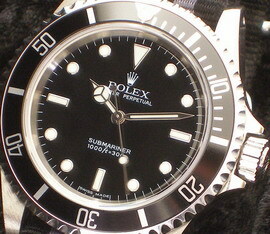 Rolex was also the first watch company to create the first water resistant watch to 330 feet. Rolex has also made a reputation in watches suitable for the extremes of deep-sea diving, aviation and mountain climbing. Early sports models included the Rolex submariner and the Oyster Perpetual Sea Dweller 2000 (in 1971). Another sports model is the Rolex GMT Master II, originally developed at the request of Pan Am Airways to assist pilots in transcontinental flights. The Explorer and Explorer II were developed specifically for explorers who would navigate rough terrain—such as the world famous Everest Expeditions. Today Rolex operates stores in many urban centers of the world, including: Toronto, Paris, London, New York, Mexico City, São Paulo, Santiago, Buenos Aires, Sydney, Tokyo, Dubai, and Wellington, among others.